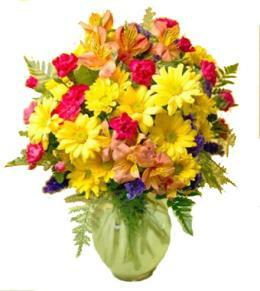 Gladioli or snapdragons may be used. 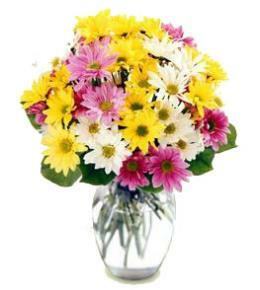 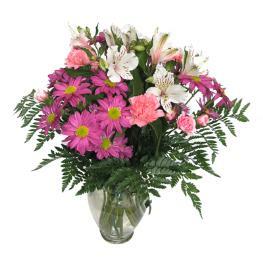 Morning Stars Arrangement is a brilliant expression of peace and soft serenity. 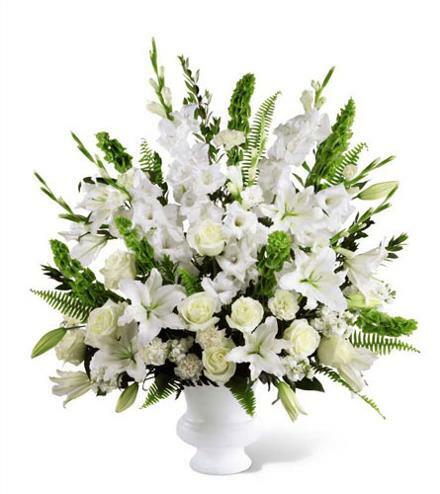 White roses, carnations, gladiolus, stock, and Oriental lilies are accented with the bright green stems of Bells of Ireland and a gorgeous assortment of lush greens, while seated in a white designer plastic urn to create a beautiful way to honor the life of the deceased. 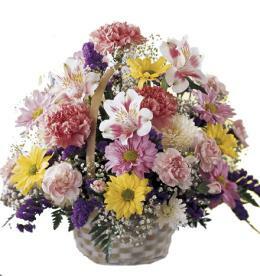 Corportate Gift Ideas - Morning Stars All White. 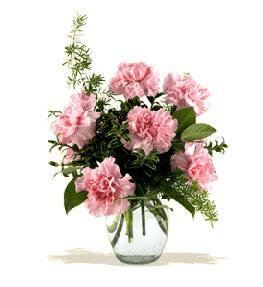 Florist Notes: Add a large full sized card and the floral designer will hand write your message just like you would. 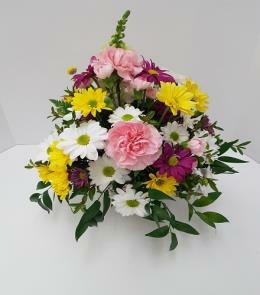 Arrangement Details: Flowers may vary due to availability but will always be white or white and cream.